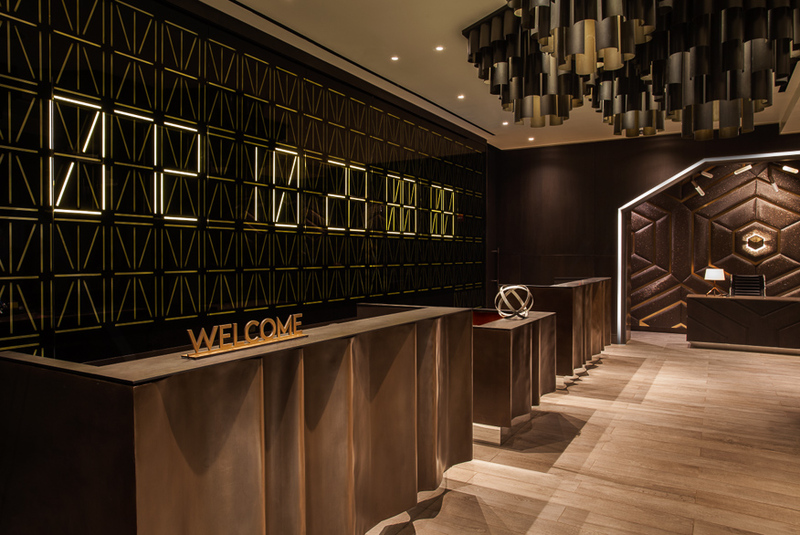 Management at W New York, Times Square, recently renovated its second-floor lobby as a tribute to Times Square, which is located just a few blocks away. Offering a lively atmosphere that transforms to nightclub-chic with a custom DJ booth, the space houses custom neon lighting, vibrant signs, and a digital countdown clock that’s almost seven feet tall. In addition to the visual appeal, the design features more than 40 hidden speakers that deliver high-quality audio to 32 independent zones, with several zones specific for individual seating booths where patrons can control the volume. Using a touchscreen, staff can quickly and easily adjust every light and speaker to produce the right atmosphere from a selection of presets. 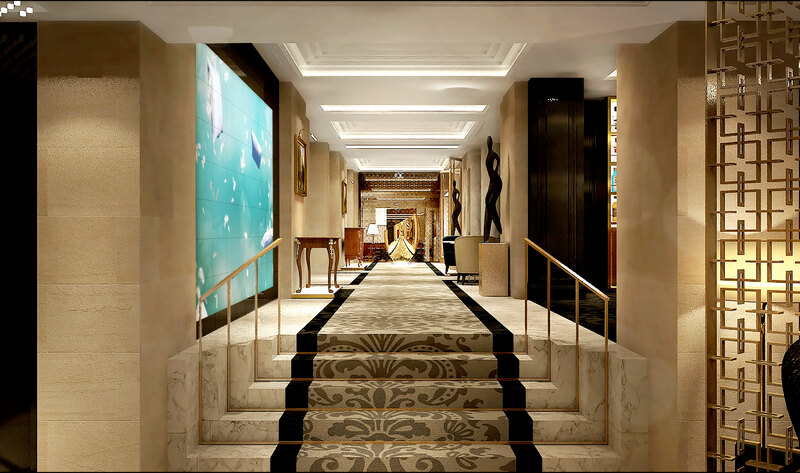 At the Sofitel Paris Baltimore, a 19th-century townhouse hotel located near the Eiffel Tower, a recent renovation proved that large digital displays can become a cornerstone design feature that is both inviting and exciting for guests, even in historic settings. The newly-installed 100-square-foot interactive “Welcome Wall” in the entrance hallway stretches nearly from the ceiling to the floor, providing a touchscreen experience where guests can explore an interactive map of Paris, make memories with an integrated ‘photo booth’ and interact with playful artwork that responds to touch. Marriott’s Sinclair Hotel in Fort Worth, Texas, is giving guests a new way to control their rooms and use the hotel’s services ?interactive smart mirrors that double as high-definition, touchscreen displays for adjusting lights and entertainment. As a digital concierge, the mirrors can also provide digital check out, access to local information, room service ordering, live TV, and more. Interactive smart mirrors range from tablet-sized to TV-sized, and are even replacing TVs. New models with voice control capability allow guests to interact with their hotel room the same way they do with their home technology. Hotels are using this tech to increase revenue, with early adopters reporting 20-35 percent higher room service requests. The TAO brand is one of the country’s most profitable fine-dining chains, and advanced visual technologies at its new Chicago location show why it is such a popular restaurant and nightclub. 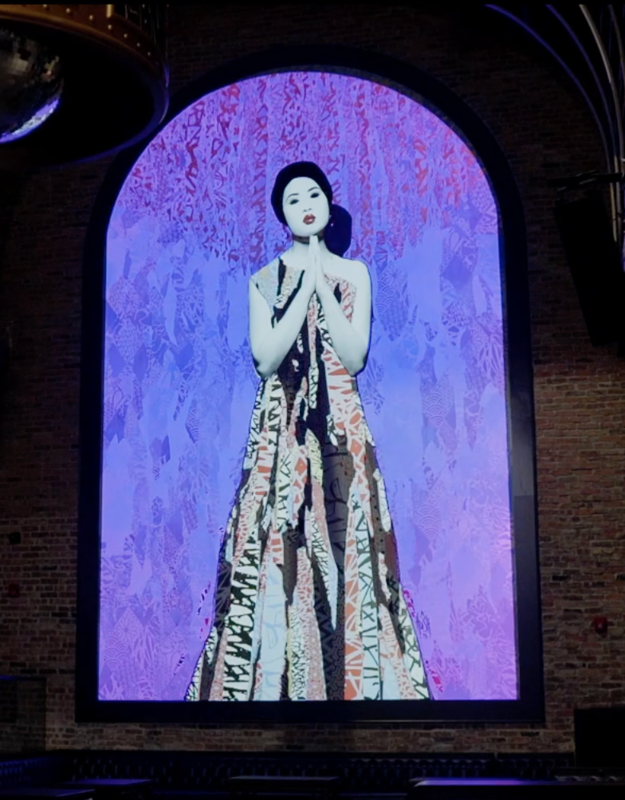 Using projection mapping, a relatively new form of projection that can be applied to any surface or object, TAO Chicago turned multiple permanent design elements into digital canvases, including a 20-foot-tall mural and a 20-foot-tall statue. Both surfaces can display a variety of creative visuals for different atmospheres and events. Using presets or looped content, the result is an interior that can be altered at the touch of a button and refreshed throughout the restaurant’s lifespan. Inamo, a chain of Pan-Asian restaurants in London, has completely reimagined how customers order and spend time at their tables. Across its three locations, the restaurant uses ceiling-mounted projectors, touch-sensitive tables, and tablets to allow for ordering, live camera feeds of the chef, digital games and drawing programs, and the ability to display personal digital photos, all right on the table. According to management, this has made it a top spot for first dates because the technology all but eliminates awkward silences. The tables display information about the current song playing in the restaurant, and the owners can even add jukebox functionality to the interface, demonstrating how the technology can evolve to offer new experiences. The breadth of modern AV technologies that can benefit hospitality brands is virtually limitless. Through the thoughtful integration of large touchscreen displays, advanced projection mapping and high-quality hidden audio systems, any hospitality location can create attractive areas that present new aesthetics and experiences. 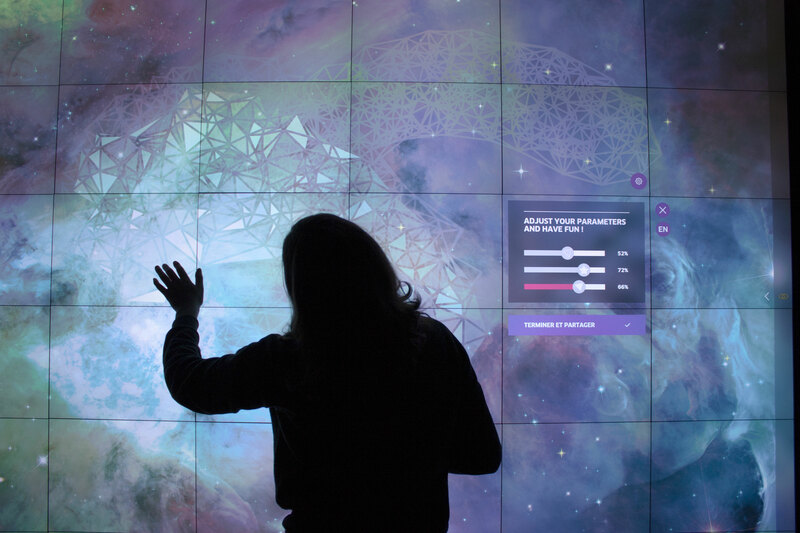 As brands increasingly demand technologies to better connect with guests, interior designers will be expected to develop creative and nuanced ways to augment existing aesthetics and develop entirely new spaces that feature audiovisual technology as a core design element.